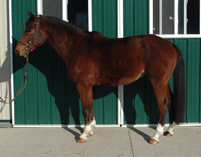 Upstart is a 2001, 16.2 hands, KWPN bay gelding, with lots of chrome. 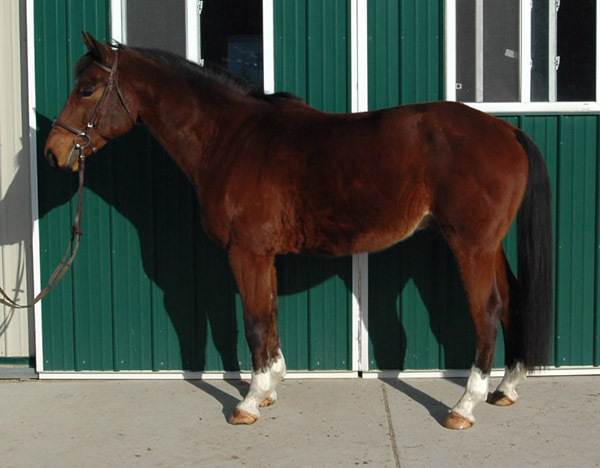 He has beautiful gaits and great conformation. He is an exciting horse to watch. He had a very active and productive show schedule in 2010. He is great hunter or equitation horse. Mid year Upstart (aka Bobbie McGee) was moved to Florida to be trained and competed by Aaron Vale. He spent about a month with Aaron and competed at two shows at the 1.2 m level, where he competed in two classes. 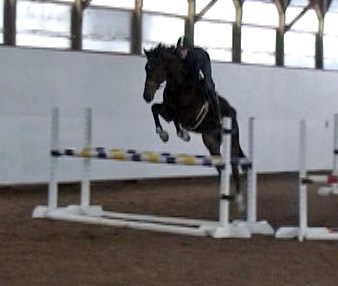 He placed 1st in four of six classes at 1.2m. He placed 1st and 2nd in two classes at 1.1 and under. 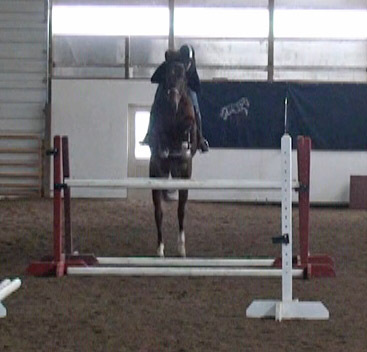 In July, Upstart moved to the Northeast part of the US, where he competed in equitation events with young riders. In these classes in performed admirably. He placed in the top seven in 22 of 34 classes. He won six of the classes and placed second or third in ten classes. Many of these classes had over 25 horses, and a few over 100 horses. In late 2009 and early 2010, Upstart was in Texas competing and training in hunter and equitation classes with adult amateur riders in about 25 classes at five shows. 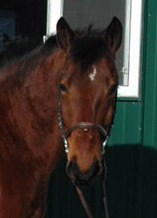 In 2007 and 2008 he was competed by Claybrook Farms in Midwest hunter-jumper shows. Upstart has great bloodlines. His dam is ranked as one of the top 500 KWPN mares in the world based on offspring performance. Her dam sire (Indoctro) is one of the top 10 stallions emerging as one of the leading KWPN jumper stallions at VDL Stud in the Netherlands. His dam line includes one of the top jumper stallions in the world (Indoctro). For the past five years, he has been ranked by the USEF as number 1 or 2 in the US. Similarly, he is ranked as one of the top stallions in the world. His sire is Hold-up Premier, who produces horses with excellent jumping ability.